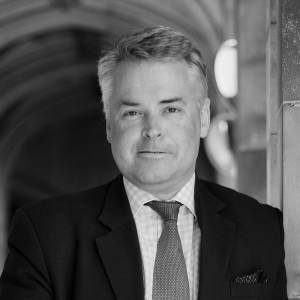 Prior to Parliament, Tim worked in the private sector as a fund manager in the City of London before becoming a Director at Fleming Private Asset Management. After standing for Parliament in Sheffield Brightside in 1992 Tim was first elected to Parliament in 1997 as Member for East Worthing and Shoreham and has been re-elected in 2001, 2005, 2010 and 2015, each time with an increased majority. Tim has held various positions during his time in Parliament. He was Shadow Minister for Environment from 2000, Shadow Minister for Health and Children from 2003 during the Conservative Party’s time in opposition. He was appointed Parliamentary Under-Secretary for Children and Families following the 2010 General Election until 2012 leading on several areas of successful reform in child protection, children in care, child sexual exploitation and adoption in particular. From the backbenches, he continues to work vigorously in support of improving support for vulnerable children and speaking up for young people. As the Chairman of the Fresh Start Group of Conservative MP and leading Leave campaigner, he continues to campaign to get the best deal for Britain post-Brexit. He is also a member of the influential Home Affairs Select Committee. He became Chairman of the Parent Infant Partnership (PIP UK) charity in 2013 committed to promoting attachment science and also chairs the All Party Group for Conception to Age 2 (first 1001 days) which is undertaking important work to improve Government’s work in perinatal mental health and early nurturing for young children. Tim also chairs a number of All Party Parliamentary Groups covering a wide range of issues, such as Archaeology, Hockey, The British Museum, Wine and Spirits and also co-chairs the APPGs for Mindfulness and Children.